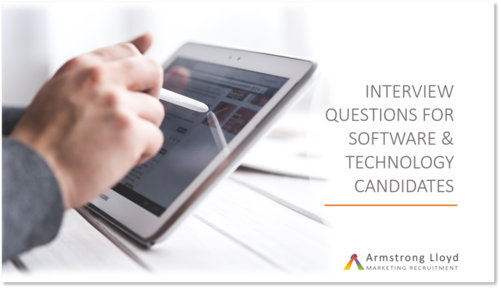 Are you struggling to recruit the right Marketing candidates for your software or technology business? Finding the very imperfect technique of interviewing frustrating in identifying which candidate really can do the job and has the right synergies for your team? Our ultimate guide to interviewing Marketing candidates for these specialised industries is just what you need. Whether your route to market is direct or via partnerships and you therefore need Channel or Partnership Marketers, we have collated the top traits and skills for each specialisation. What interview questions will really tease out the nuaunces of their experiences and capabilities? Look no further than our easily accessible guide that sets out useful interview questions and the answers that should set your alarm bells ringing and how to tell a stock answer from a candidate who could really fly in your organisation.